HyperX had an interesting idea with their Cloud Orbit S headphones, put head tracking in them. 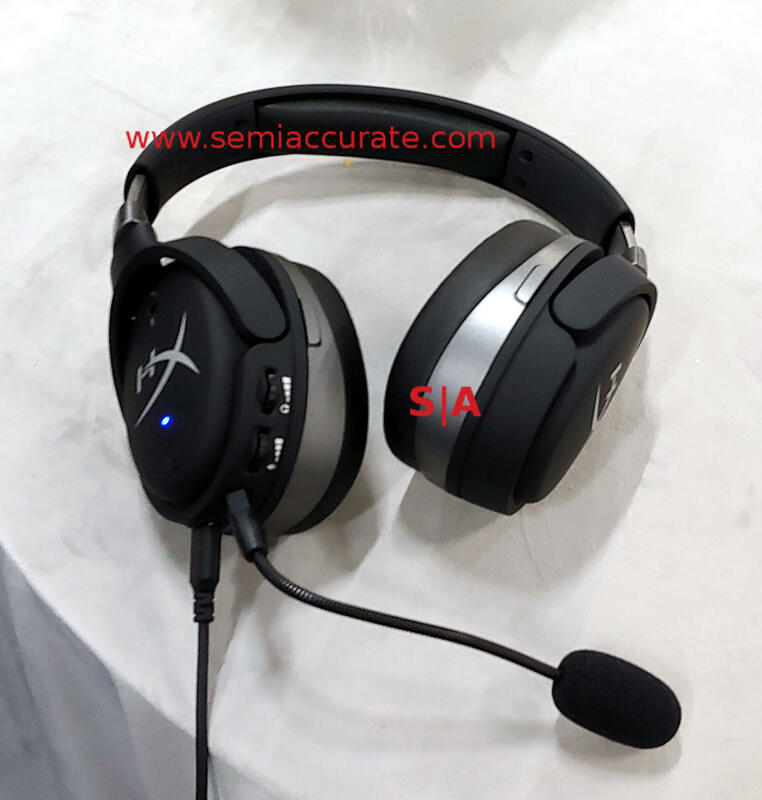 SemiAccurate tried them on and thinks the idea works and has merit especially for gamers. The idea is simple enough, put head tracking on stereo headphones so that when you turn your head, it sounds like the music or game is coming from fixed speakers. This isn’t exactly astounding VR tech, it is as simple as it… err… sounds like, it makes headphones pan like speakers. If you are multi-monitor gaming, these could be useful. The HyperX Cloud Orbit S headphones look just like the standard HyperX Cloud Orbit headphones, detachable mic, big ear cups, and all the rest you would expect from a set of gamer oriented earmuffs. Unfortunately due to the added functionality they are USB only, no audio jack. There is a little button for centering though, if you press it you hear a voice saying ‘centered’ and the speakers snap back to left and right. You can also turn the feature off and just use them as normal headphones. On the technology side the speakers use Audeze’s 100mm planar magnetic drivers and sound pretty good, at least they did in the noisy trade show environment we got to use them in. On top of this there is Waves NX 3D audio technology to do what it suggests, plus the motion control on the S model of the Cloud Orbit.